'A hugely entertaining novel, thoroughly researched and vividly characterised' Historia. AD 439: The Roman Empire is on the brink of collapse. With terrifying speed a Vandal army has swept through the Roman provinces of Spain and North Africa, conquering Carthage and threatening Roman control of the Mediterranean. But a far greater threat lies to the east, a barbarian force born in the harsh steppelands of central Asia, warriors of unparalleled savagery who will sweep all before them in their thirst for conquest - the army of Attila the Hun. For a small group of Roman soldiers and a mysterious British monk, the only defence is to rise above the corruption and weakness of the Roman emperors and hark back to the glory days of the army centuries before, to find strength in history. Led by Flavius, a young tribune, and his trusty centurion Macrobius, they fight a last-ditch battle against the Vandals in North Africa before falling back to Rome, where they regroup and prepare for the onslaught to come. Flavius learns that the British monk who had fled with them from Carthage is more than he seems, and he is drawn into a shady world of intelligence and intrigue under the aegis of Flavius’ uncle Aetius, commander-in-chief of the Roman armies in the west, the man who alone has the power to rally Rome and her allies and save the western empire from annihilation. Aetius is desperate to buy time until his army is strong enough to confront the Huns on the field of battle, and meanwhile will do anything to undermine their strength. Together they devise a plan of astonishing audacity that will take Flavius and Macrobius across the frontier and far up the river Danube to the heart of darkness itself, to the stronghold of the most feared warrior-emperor the world has ever known – and into alliance with the emperor’s daughter, a warrior-princess who has sworn vengeance against her father for the death of her mother. 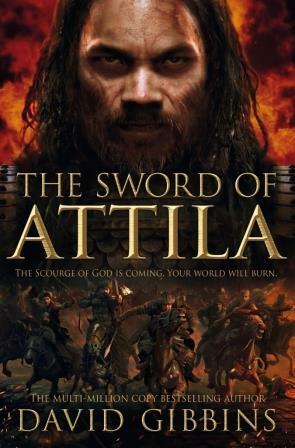 In the showdown to come, in the greatest battle the Romans have ever fought, victory will go to those who can hold high the most potent symbol of war ever wrought by man - the sacred sword of Attila. 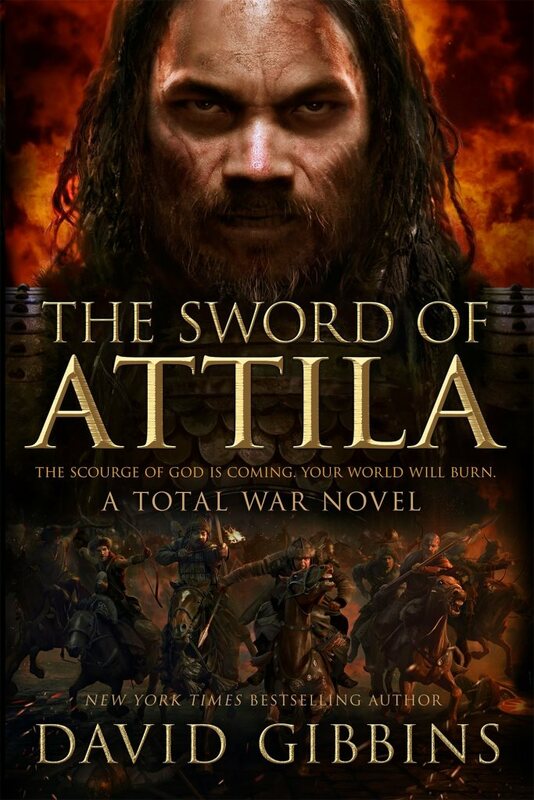 THE SWORD OF ATTILA, the second of my historical novels written as companions to the Sega Total War Rome games, was first published as an ebook in January 2015 by Pan Macmillan in the UK and St Martin's Press in the US, where a hardback edition was published in February The UK paperback edition will appear on 19 November 2015. Click on the logos opposite to order these editions from Amazon. 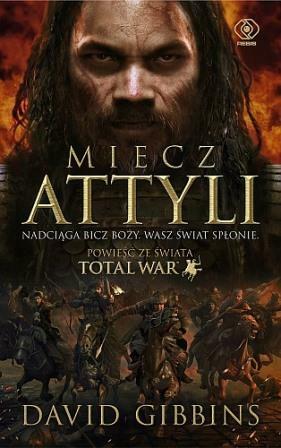 See below for a gallery of international editions so far, in French, German, Greek, Hungarian, Italian, Polish and Spanish. Follow my Facebook page and the blog links below for more about the book, including material on the historical and archaeological background. Click on the image for the game. Click on the covers to go to Amazon or the publishers. More editions will be added as they are published. 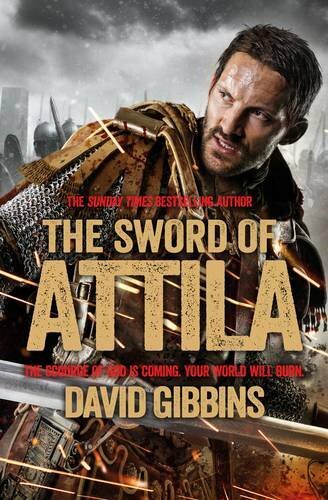 Cover artwork on this page by Larry Rostant for the Pan Macmillan editions of David Gibbins' novel The Sword of Attila (2015).